I don’t know where you are reading this article from; however, I want you to understand that conditions and environment differ significantly. You can be reading this article from Lagos Nigeria, some other persons can be reading it from Imo, PH, Ekiti, Kano, Akwa Ibom, Enugu, Bayelsa etc and even countries outside Nigeria. They may think the cost I have given here will be same. You can’t expect the cost of land to build pond (for instance) in Lagos to be the same with that of Oyo? You can’t also expect the cost of labour in Akwa Ibom to be the same with the cost of labour in Kano? Even some other materials you might expect to be of the same price are not (even in the same city). The best way to do this is to move out and ask questions. 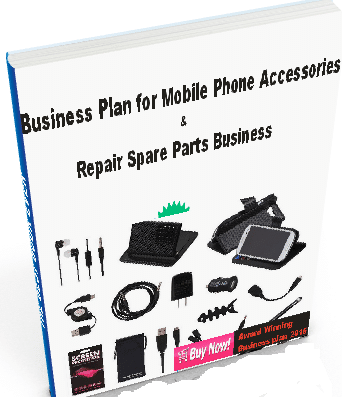 You`ll definitely get the cost of things you need to get started in your locality. And some staff to work with you. You will also have to get the price of the feeds you`ll need for feeding your catfish. The major reason why I usually avoid discussing about the cost on this site is because cost, price or profit is all relative. For example, the amount you will need to purchase a hectare of land to construct a fish pond in Abuja can comfortably take care of all your cost in certain part of Oyo state and the price you will sell an average catfish in Lagos may be what you will sell two in Kano. You will see that it does not make sense to jump into conclusion that certain amount of money is what you will need to start a catfish business or that certain amount is what you will make. The best way I think will be to go out and investigate both your cost of starting the cat fish business and your likely profit. How much can a fish pond be constructed in your locality? How much it will take you to get a bole hole done? How much can you get a tank to store water? Then, how much can you get 100, 500, 1000 etc, catfish fingerlings? You have to know whom your competitors are and how to win there in the business. You can start your cat fish business where the cost of labour is low so as to sell at competitive price? Don`t try building your fish pond yourself, if you don`t know how to do so. The catfish pond should be standard. Consult some nearby fish farmers who have ponds for advice. Even if every other thing is alright, a bad pond can kill your profit. Catfish is freshwater animal. Poor quality water alone can kill your efficiency. The best sources of water for fishing business are borehole and river. Rain water and tap water from treated source is not good for your fish. Check acidity of your water. Acidic water is bad for fish. To check this, you will need to buy a PH meter, read your water and see the acid level. Your fish must be well feed. Your feeds should contain proper nutrients like lysine, arginine and methionine. Some farmers try using local meals to feed their fish. This may be good provided those meals contain the essential fish nutrients. You have to increase your fish feeds as they grow, or otherwise, they will suffer malnutrition. 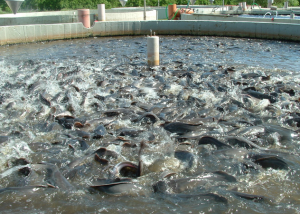 A feasibility study carried in Anambra state and prepared for a catfish farm of capacity is 10,000. Fingerlings were of high breed catfish. The expenses from pond construction to marketing are taken into consideration. The farm is to have 10 concrete ponds of flow through system and each pond is to contain 1,000 stocked catfish. Cost of constructing each pond is as follows. Each pond is 3m x 2.5m by 1.4m; each pond consumes 210 blocks and each bag of cement for 30 blocks. Hence 210 x 10 = 2,100 blocks. 2,100/30 = 70 bags of cement needed. Hence cost =70 x 200 = 140,000 naira. 4trips of sand used = 8000 x 4 = 32,000 naira. 2trips of gravel = 32,000 x 2 = 64,000 naira. Cost of labour = 180,000 naira. Cost of plumbing (inlet and outlet facility) = 100,000. Cost of bore hole = 500,000 naira. Cost of treatment = 60,000. Cost of high breed fingerlings 30×10, 000 = 300,000 naira. Cost of feeding from day one to maturity stage is 200 bags of foreign feed = 1,000, 000 naira. After the average weight of the fish was 1.7kg. And it was sold at 800 naira each. The output was 800 x 9800 fishes, 200 was lost due to mortality. So, 700 x 9800 gives 6860,000 naira. To Summarise, total expenses = 2.236 million naira. The gain = 4.624 million naira after six months of culture. If you have questions or comment, you can use the comment box below. Previous PostDiamond yello Account: opening, agents & BenefitsNext PostMTN 3.5gb for 2000 & 1.5gb for 1000 – New! Please what is your feed conversion ratio(FCR). How can 200bags of 15kg feed for 10000 fingerlings give an average of 1.7kg catfish at maturity.? (200 x 15)/10000 =0.3kg for FCR 1:1. The highest feed to body wt. conversion ratio is 1;1.5. The highest body wt. we can get from 200bags of feed for 10000 stock is 0.45kg or 450g. How many plots of land will contain 10 ponds with 1000 capacity each? If you are truly interested in Farming fish kindly contact me on. I need your your assistance on how to do my first pond. Please I need analysis from the beginning to the end. And I want it to be under #8 million. I will fence the land also. The location will be Badagry Lagos state. I have #300,000 and don’t know how to invest on the fish farming. I need your professional ideas because I’m a novice is the system, I just want to venture into the fish farming business. You can start with 30-50 fingerlings since you are new to this business. Look for an agric engineer that can construct a low cost concrete fish pond for you unless you have an alternative. You can consult people who are already into the fish pond business around you. The problem with Ekiti in fish farming business is water source. So, necessary consultation must be made before you start. You need to pay me consultation fee for this. We’re glad you find it helpful. We’ll update the article soon. I stand to be corrected, 200 bags will never be enough for 10000 fingerlings till maturity stage, with that you can never make 1.7,i stocked 5000, currently have 2700 (sold 2300 last month) at their 4th month, so I know what they eat daily. This is a great topic, I read though the post and comments, and I must confess I’m overwhelmed. However, can I publish this on my blog? Ofcourse referencing you website as the source. Update and reference this site as the source. Good day. Please how do I rent a land to start fish farming in abuja.? Yes, you can start in a low scale with that amount but for security purpose, you need to fence the land. So, if you can find a way to fence the land , you can start with that amount.